I am very into the all white look (as you may know by know…). 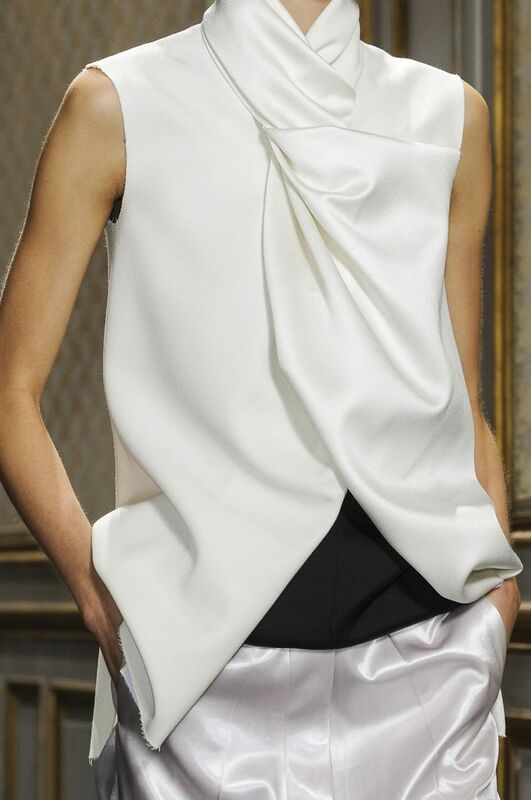 So I kind of did this copy-cat look from the Céline Spring 2013 collection. This is a look I would definitely go for New Years Eve. 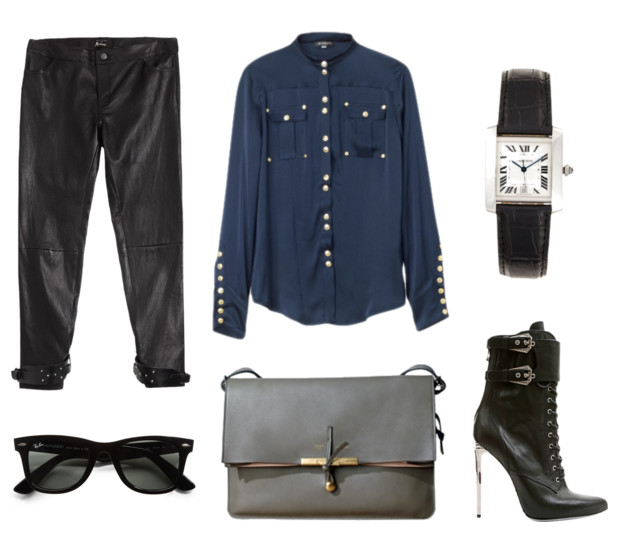 The suit jacket comes from Theyskens’ Theory, the pants are Gucci, the short belly top is the one I blogged about before from 3.1 Phillip Lim, the super duper nice shoulder bag comes from Givenchy and the pumps are Jimmy Choo. The accessories are Cornelia Webb (the thin silver necklace) and the beautiful loop earrings are Diane Kordas. 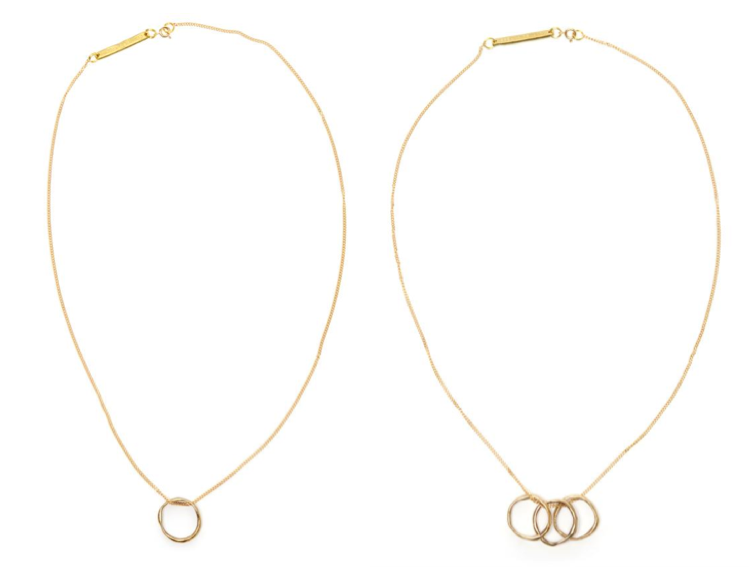 I am totally hooked on thin necklaces, bracelets and rings. It looks so delicate and you can never really over do it when styling the jewelry as well as it’s perfect for your everyday look. 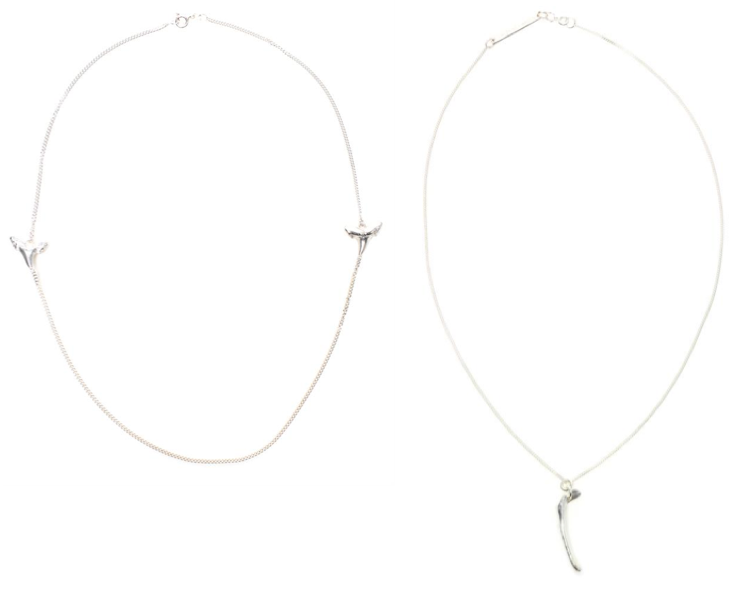 I just discover Cornelia Webb’s necklaces (above) and they are beautiful! I found them at Browns Fashion and they have them in both gold and sterling silver. I can’t make up my mind on which one I want! Since I am always wearing silver I will probably go with one of them, but the gold pendants are real beauties as well. I am heading over to London in a couple of weeks so I think I get it in stores.